Many harmful dental issues, like tooth decay and gingivitis, affect not only your oral health, but also your smile’s overall appearance. However, many cosmetic smile issues are only esthetic and don’t pose a serious threat to your oral health. For instance, discolored teeth may be extrinsic (external) stains on your teeth’s surfaces. Gum recession may not indicate the presence of gingivitis (though leaving it untreated can increase your risks of the disease). 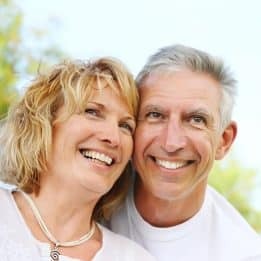 Cosmetic dentistry is the art of careful and artistic smile improvement, and can include a number of custom, minimally invasive procedures designed to address your specific concerns. If you are unhappy with how your smile looks, then ask your dentist about your options for a quick cosmetic touchup. The smile you’ve always wanted may be easier to achieve than you think! To learn more, schedule a consultation with one of our experts by calling the My Dentist office in Londonderry, NH, today at (603) 965-3407.